Bhubaneswar, Dec 18: The Odisha Police on Thursday said the suspected terrorist arrested in the state had links with a man involved in a failed car bomb attack at the Glasgow international airport in 2007. “Delhi Police investigation revealed the link of Abdul Rehman with Kafeel Ahmed, a Bengaluru-based techie who succumbed to burn injuries in a failed car bomb attack at Glasgow airport in Scotland,” Police Commissioner R.P. Sharma told media persons here. A team of Delhi and Odisha police on late Tuesday night arrested in Cuttack district Rehman, allegedly a member of the Al Qaeda in Indian Subcontinent militant group. Sharma said Rehman was earlier arrested for alleged involvement in an incident at Shahi Masjid inside Killa Fort in Cuttack in February 2011. The police commissioner said the madrasa (Islamic seminary) run by the suspected terrorist in Tangi area of Cuttack where around 80 children, mostly from Jharkhand, are studying was under scrutiny. Sources said police have detained Rehman’s three associates running the madrasa. 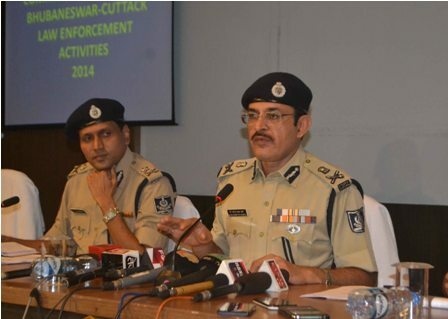 Sharma said Odisha Police had proposed to the government the setting up of a special cell to investigate and counter-terror activities in the state.